One old-skool marketing technique that will always hold true is the value of the catchy headline. The headline, given its power to convey meaning quickly, is more important than ever. Attention spans are limited. Media messages flood the channels. We're busy. The function of the headline is to grab our attention and pull us deeper into the message. Many books have been written on how to craft great headlines. I'm going to quote from the advertisers bible on the topic, Tested Adverting Methods by John Caples. Caples identifies three main classes of successful headlines. Of the three, by far the most effective headline in advertising is the self interest headline. Our self interest usually trumps our curiosity, and news, especially when time is short. The first says nothing that appeals to our self interest. We don't even know what it is about. But you'd be hard pressed not to click on the second headline. The self-interest is just too strong. This is why the second form is used so often in link-baiting and social media. It screams for attention, and then makes a strong appeal to self-interest. There is a downside to such headlines, however. Modern audiences have become jaded and cynical, especially where marketing messages are concerned. Overplay the benefit, and you'll come off as a shark. Link-baiting, a useful SEO tactic, has developed a bad reputation through overuse of this approach. We can twist the overused appeal-to-self interest headline strategy slightly to make it work for us. The key to getting the appeal to self-interest right is to get the tone right. Understand both the audiences' desires and the tone of "voice" they respond to. The headline needs to be crafted in such a way as to appeal to Diggs demographic, which is mostly young, tech-savvy males. This demographic tends to respond to a tone that is cynical, flippant and irreverent. Get that tone wrong - i.e. play it too straight, or too advertorial - and it doesn't matter how strong the self-interest angle, it's unlikely to work. How To Use Headline Strategy In SEO. SEO has an additional challenge. For SEO to work well, the headline, which is often also used as the title tag, should include a keyword term. Many studies have shown that a SERP or Adword that includes the keyword term results in more clicks. In order to get the headline strategy to work for SEO, try amalgamating the keyword term with one of the three formats. Even if you're not #1 in the serps for that term, you're more likely to attract a click than the guy who simply uses "High Speed Routers", by itself. Your headline (i.e. the title tag) competes with at least ten other SERPs on the page, along with a various Adwords listings along the top and down the side. The top three SERP poitions are gold, but if you can add a touch of appeal-to-self-interest, or news, or curiosity, you'll up your chances of getting the click. 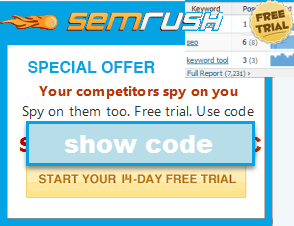 If you want to go one step further with this tactic, use it as a way to segment visitors. The first example I gave is likely to attract those people who are ready to buy, and who are buying on price. You then need to include your title as a heading on the page, which confirms to they visitor their click has got them where they wanted to be. They're now far more likely to read beyond the headline. Slightly OT: I've noticed a trend when I search in that i'm acutely aware of the domain and I tend to skip resource based sites when searching for products and services - anyone else experience this? "Bush attacks Kahamadonistan for imposing death penalty on Digg founders for DRM cracking on Kahamadonian Linux servers" ? Nice post Peter, I thought it was quite informative. 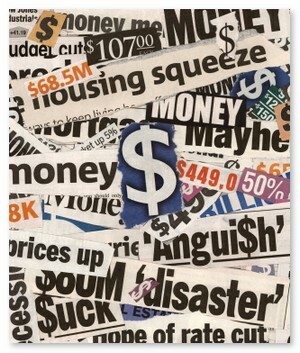 creating headlines/tags is one of the simplest yet most misunderstood facets of marketing. You shed some very interesting insights in this post. ""Bush attacks Kahamadonistan for imposing death penalty on Digg founders for DRM cracking on Kahamadonian Linux servers"
"Bu$h pressures North Korea to adopt Linux DRM, Kim gets ill "